If you’ve spent any time in Pinecrest, it’s hard not to notice Alan Pasternak. 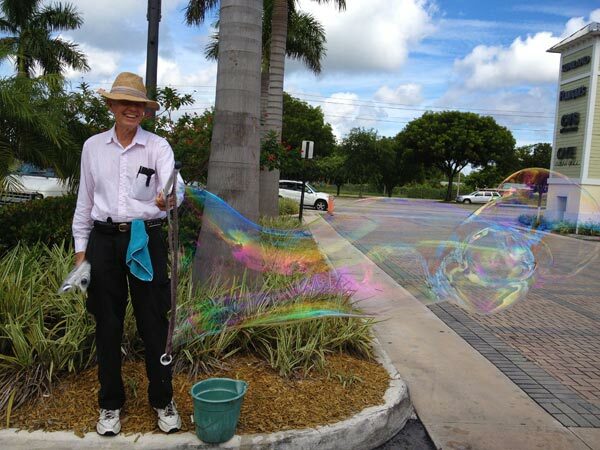 The 75-year old loves to stand outside in traffic and play with bubbles. That is, of course, if the weather is nice and his wife lets him out of the house. Shortly after returning from Seattle, Alan decided to make his own improved bubble wand and share his bubble-making joy with young and old alike. “I watch people’s faces when they see and chase after my bubbles. It’s a wonderful feeling.” Given Alan’s prior 40-year career as an IRS employee, I’m glad he’s found his passion. The fun and personal connections Pasternak made with his bubbles blowing was just too intoxicating. By 1999, Pasternak had refined his wand design and retired from his IRS career. Now, he could head outside to the park or to a venue and blow bubbles any day of the week. Pasternak quickly became a fixture at Evelyn Greer Park, IHOP and the Suniland Shopping Center. At each place, he just set his bucket on the ground, dropped his wand into the soap and effortlessly painted long bubblescapes into his happy world. 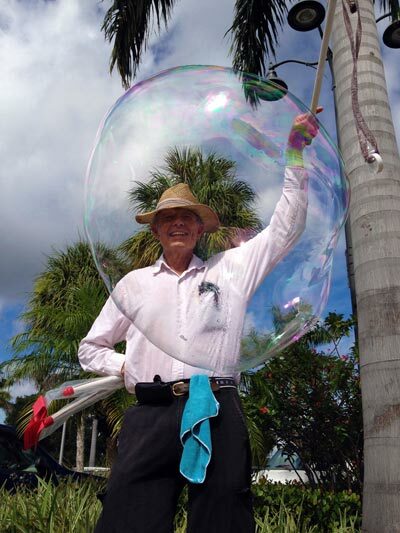 Known as the Bubbleman, after talking with Pasternak for a while you realize he more like the Bubba Gump of Bubbles. If it’s bubbles or bubble-related, he’s a fan. Exactly what makes the best soap mix? Alan says P&G soaps only. Perfect length of fabric wand? He’s got it down cold. “It needs to make the right size bubbles, not tangle easily and be short enough that kids don’t have it drag on the ground when they use it.” Alan has perfected his device over the years and it is clear that without this pastime, his life (and ours) would be a lot less fulfilling. When Alan sees someone unhappy, he’s the first to see what he can do. He really thrives on the joy, not the $7. And although he’s not raking it in, selling 1500 wands a year is a pretty good accomplishment. If you want to support Pasternak’s passion, he sells on eBay and at his website. 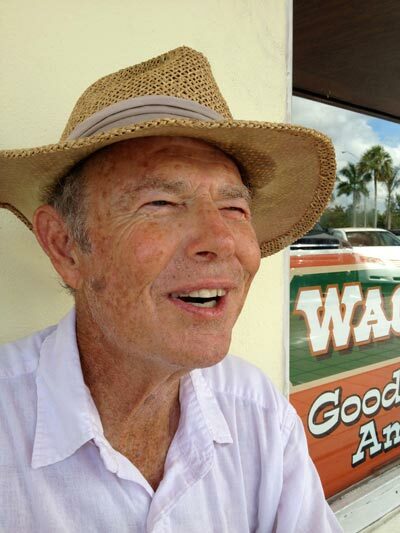 Of course, the best place to buy is direct from the man himself at a street corner in Pinecrest near you.